Development is a double-edged sword – it benefits us but it hurts the environment as well. Since the past several decades, our planet has witnessed dramatic and drastic changes. From simple houses and structures like bridges and low-rise buildings, now, there are skyscrapers, big mansions, and other marvelous structures. As a result of insensitive and careless developments, our environment has suffered the worst beating. Climate change is inevitable if careless developments and abuse of natural resources is not put on halt. Scientists and experts in the field of climate change have been warning governments all around the world about the devastating effects of this phenomenon. However, many still opt to care less. Fortunately, some house builders and homeowners are swiftly switching to sustainable development – developing homes without hurting the environment. In the past several years, green living has become a popular choice among homeowners. When this trend started, this concept was initially associated with only wealthy people since making your home more environment-friendly is quite expensive. However, as years went by, more people realized that green living is not for luxury’s sake but more for practicality’s sake. 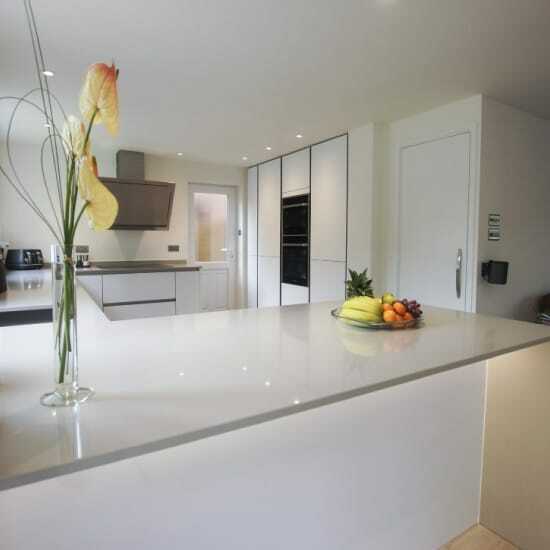 This is why the sales of some items have gone up, such as quality ones like quartz worktops. The initial costing for building a green home can be more expensive than building a normal home, but in the long run, the former is much cheaper. The lesser you use energy is the better because you save money from electricity expenses. With this growing trend, more house builders are persuading their clients to consider green homes. Home-building companies are influence homeowners to switch to green living by sharing the prominent benefits of this pro-environment movement. Below are some of the most prominent benefits of living in an environment-friendly home. Reduced energy use – The less you consume energy home is the better. If you’re energy consumption is less, then you can save a lot of money from electricity and water utility expenses. In the process, you are not only saving money for yourself but you are also helping the environment. The less energy your home consumes, the less carbon emission is produced, which is very healthy for the environment. Better indoor air quality – House builders who build green homes emphasize on using environment-friendly and efficient home building materials. If your home is made out of these materials, you can expect to have better indoor air quality. With the right design and construction, fresh air will enter your home, making indoor air quality healthier. Less cost on maintenance – Green homes are made out of durable and natural materials, which make them sturdy and safe. The green materials may cost higher than ordinary and traditional home-building materials, but even so, you can save more in the long run because they are less susceptible to wear and tear. Hence, you can spend more on things that will last almost a lifetime, such as antique items, quartz worktops, heirloom furniture items, and so on. The design is refreshing – The designs for green homes are made for efficiency and beauty. Hence, it is very common for green rooms to have refreshing and interesting themes and designs. One of the common features of a green home includes emphasis on natural sunlight, which reduces the need to switch on electrical lights. Such concept makes a home closer to nature and provides a refreshing experience to its residents. If you want to save on money while helping the environment, then maybe you would find green homes interesting. You may contact your home builders and share with them your thoughts about having a green home so they can come up with a solid plan to help you with your ideas.